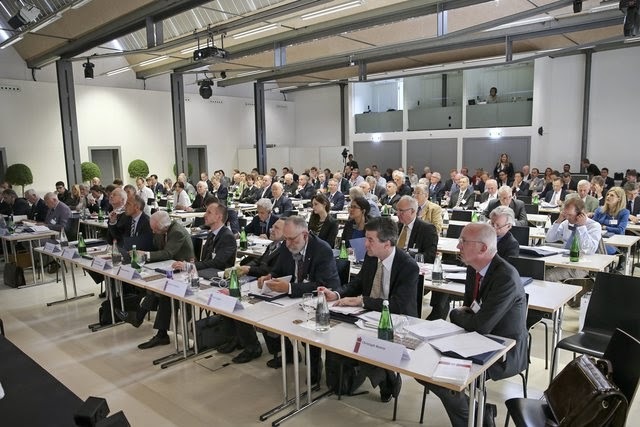 Yesterday, the 10th International Gottfried von Haberler Conference under the topic "On Statesmanship and the Limits of State Action" took place in Liechtenstein's capital Vaduz. The conference was organised by the European Center of Austrian Economics Foundation (ECAEF) in corporation with the University of Liechtenstein and other national and international sponsores. Among the board members of the ECAEF are two Liechtenstein princes, Prince Philipp and his third cousin Prince Michael. The Prince Hans-Adam II is also a member of the liberal think tank. All three of them were among the guests at yesterday's conference. Both Prince Hans-Adam and Prince Michael also held speeches. Pictures are located at Vaterland and 1 FL TV has a video, just skip ahead to the two minute mark if you don't want to see a report about Hereditary Prince Alois' activities of yesterday.